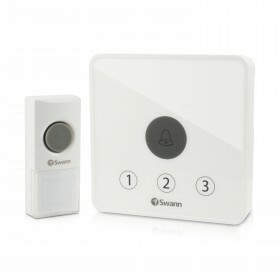 This driveway alert is part of a customizable doorbell and alert range. 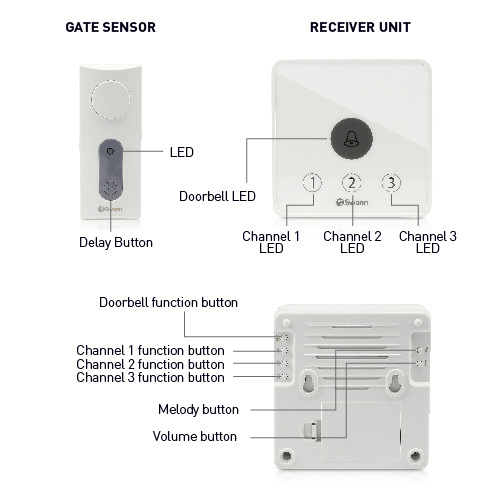 Additional motion sensors, gate alert sensors and door button units can all be connected to one portable receiver. 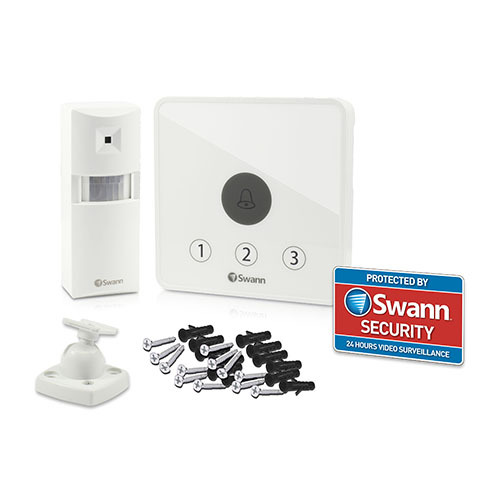 The pack contains a PIR motion sensor and a receiver unit. We've received a number of product reviews telling us that the alerts are very loud, so we've updated the product description below to give you some more information. 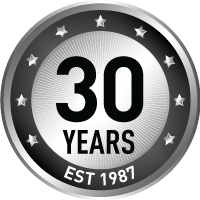 Thank you for everyone who gave feedback, all have been provided to our product development team to improve our range. One channel is dedicated to door buttons only and has a choice of 36 melodies. The other 3 channels are for pairing to alarm sensors and have only one Alarm sound available per channel. 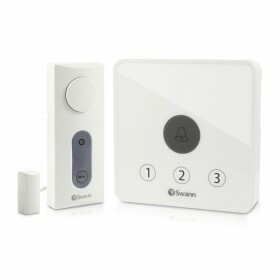 Each of the 3 channels has a unique sound, allowing you to know which sensor has been triggered in a particular area of your house or garden. Channels 1 & 2 have a loud, alarm like sound. Channel 3 is a softer, more chime-like sound if you'd prefer that. The volume of sound on all 4 channels can be adjusted between high, medium, or low by pressing the button on the back of the product. You can also select silent mode where only the blue LED light flashes for times where you want peace and quiet. 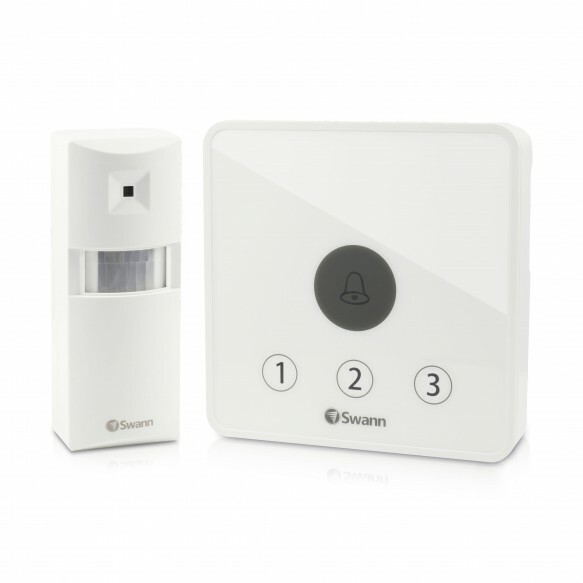 False alerts can be minimised by adjusting the position & angle of the motion sensor. 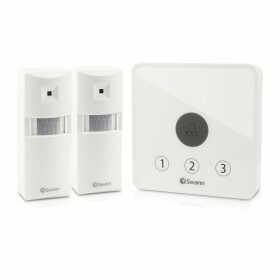 Position the PIR Alert Motion Sensor where you need protection near entrances, doorways, driveways, garages, shops, restaurants, cafes, reception areas, lobbies or anywhere activity occurs. The Receiver unit emits an audible alarm & lights up when the Alert Sensor detects movement. 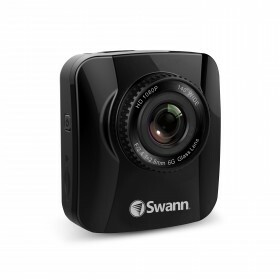 Enjoy the convenience of wireless with a long range up to 200ft/ 60m* from each Sensor to Receiver. The PIR Alert Sensor detects motion up to 40ft/ 12m away with a weatherproof design for monitoring driveways & other outdoor locations, with the ability to adjust the position using the rotating mounting brackets. Easy to use do-it-yourself wireless alert kit for home or business provides peace of mind without breaking the bank.